Open vs Closed Headphones: What's the difference? Shopping for headphones has arguably become quite the tiresome affair. The amount of brand terms, salesy language and questionable advice that is going to be thrown your way is simply too high. Among the many variables you’ll have to choose from “In-ear or on-ear, Bluetooth or wired and Headset or headphone, to name just a few others”, there is the big difference between cans that are open as opposed to closed ones. But what does it mean when someone says they’ve got a pair of ‘closed’ or ‘open’ headphones? 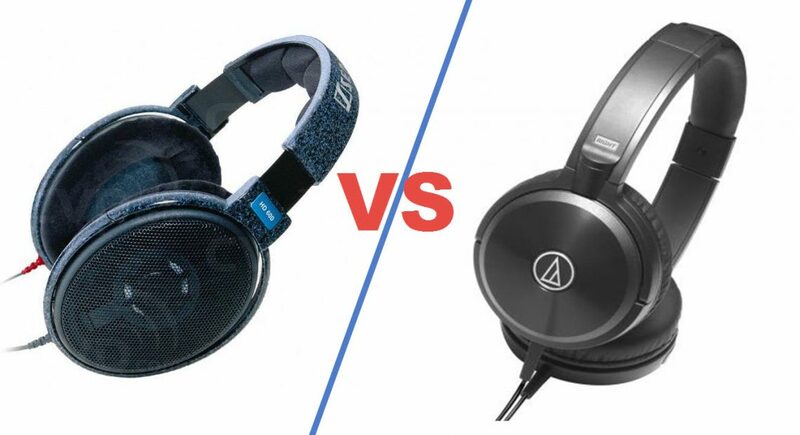 Let’s take a look and decide the battle of ‘Open vs Closed Headphones’, once and for all! Open headphones, also sometimes called open-back headphones or open-backs, are pretty straightforward in terms of design. In fact, they are the oldest kind of headphones, having been invented long before the closed type. Simply put, a pair of open-backs is not much more than two speakers stuck to a headband. A side-effect of this is something we’re sure you’ve already experienced at some point: You’re listening to your tunes, minding your own business, when someone from next door comes in and urges you to ‘turn it down’. This is called leaking and is a common feature of open-back headphones. It doesn’t just mean that others will hear what you’re listening too, though, it also goes the other way around. You will hear them, since there is nothing really separating you from any outside noise while wearing open headphones. This can be an advantage or a great turn-off for you, depending on your exact needs and preferences, of course. 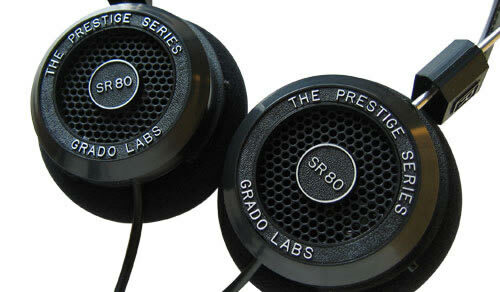 The prime advantage of open headphones lie within the category of sound quality and realism. This is why you’ll see many enthusiast’s brands like Beyerdynamic, Sennheiser and Audio-Technica market open-back headphones prominently, even among their most expensive lineups. In very simple terms, open-back headphones feature arguably better sound compared to similar closed-back headphones. This is due to there being nothing disturbing or blocking the airflow, creating a richer, truer-to-life sound stage that is favored by many audiophiles. That’s also where the current design trend of vented earcups, common on many high-end pairs, comes from. Open headphones also tend to sound ‘bigger’, as the sound is not only directed at your ears alone, but can flow past them. It creates the illusion of widely spaced-apart, directional sound, almost like on a true stereo system. The price of open-backs varies extremely. You can pick some up for $10 and others for $1000, so there’s really something for everyone here. There is only one and that is you can not enjoy uninterrupted and isolated music. The polar opposite to open-back headphones are closed ones, also called closed-back. These headphones do away with the most common complaint concerning open designs, the sound leaking. Closed headphones therefore employ tight earmuffs, thick padding, a fully sealed, non-vented construction and a variety of other design themes and methods to achieve minimum, if any, leaking. Wearing a good pair of closed-backs is like diving under; the outside, ‘surface’ world grows faint and dim to the point where you may not even be able to hear it at all. And, rest assured nobody on the outside will hear what you’re listening to, either. Sadly, this does come at the cost of sound quality, which isn’t as perfect as on open designs. This doesn’t mean a closed pair of headphones can’t sound great. But even if it does, an open model of similar spec and price will most likely outperform it in this particular department. Shortcomings that are often cited include a narrow soundstage, poor quality at high volumes, thin treble and high coloring. See Best Over-Ear Headphones here. Besides the noise isolation, arguably what separates closed headphones the most from their open counterparts, there are numerous advantages to the closed design. Firstly, partially due to the aforementioned isolation, they work much better at lower volume levels. 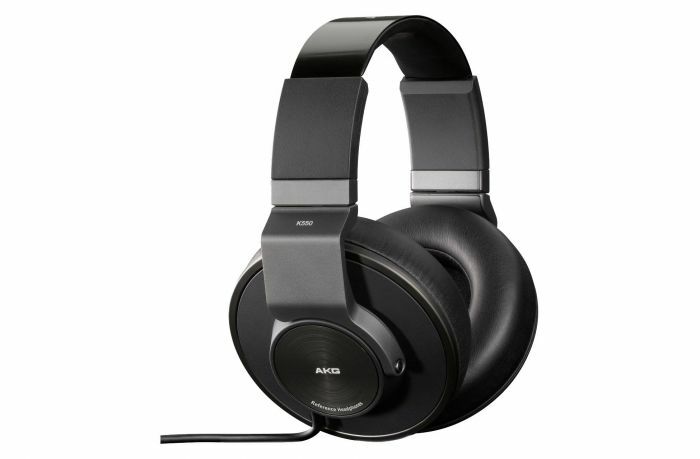 Reviewers also commonly note a deeper, richer bass on closed headphones compared to open models, but this may be down to differences between individual headphones, not the design. Another great advantage is the price. While open-backs are widespread across almost any theater and segment of the headphone market, closed headphones usually linger in the lower two thirds of cost. Thus, if you’re looking for a budget product, closed headphones might be more readily available. Most common hardware stores also only ship closed-backs, or only very few open models at best. The vice versa of disadvantage of open headphones goes here. That is you get isolated from your near by world which for some can be a problem. So, now that you know the differences between open and closed headphones, are you ready to make an educated buying decision? Think everything through, as we won’t be able to tell you about your own personal needs, expectations and usage behavior. Remember, you’re the only person who knows yourself the way you do! It’s always a good idea to test out some pairs of both types and compare them side by side if you aren’t sure which one to pick. If you still have problems choosing, just refer to this guide. We’re sure you’ll find a pair of headphones that’ll suit you just right! It is a very profitable post for me. I’ve enjoyed reading the post Open vs Closed Headphones: What’s the difference? I was having a confusion about it and was wandering that both of them are similar types. But now i can differentiate the both types. Thanks Mathew for putting light on this. After this i can say that i would like to go for the close one. I published these posts for people like you who are willing to know the answers. Your questions boost me to bring relevant how to faq posts. Thanks for giving you time and go for the one you like.